Democracy, control, sovereignty – look these words up in a dictionary and you will find a solid meaning, but bring them into contact with the modern world and they will collapse. In the 21st century, what do these concepts mean? What is sovereignty? What is democracy? Brexit created an urgency to think new about a viable 21st century concept of nationhood that is not organized around 18th and 19th century ideas and problems, but one that is situated in the context of a (dis)connected world. What happens when we view nationhood from a design and maker perspective and we use design tools to show new pathways and possibilities for society? Following the outcome of the EU referendum in the United Kingdom, Britain now has a once-in-a-generation opportunity to redesign itself as a coherent, relevant and functioning nation for the 21st century. Working within a rapidly changing world, the creative disciplines have an open vision and contribute new approaches. From our perspective, making and thinking is activated by context and friction proposing new perspectives and solutions. 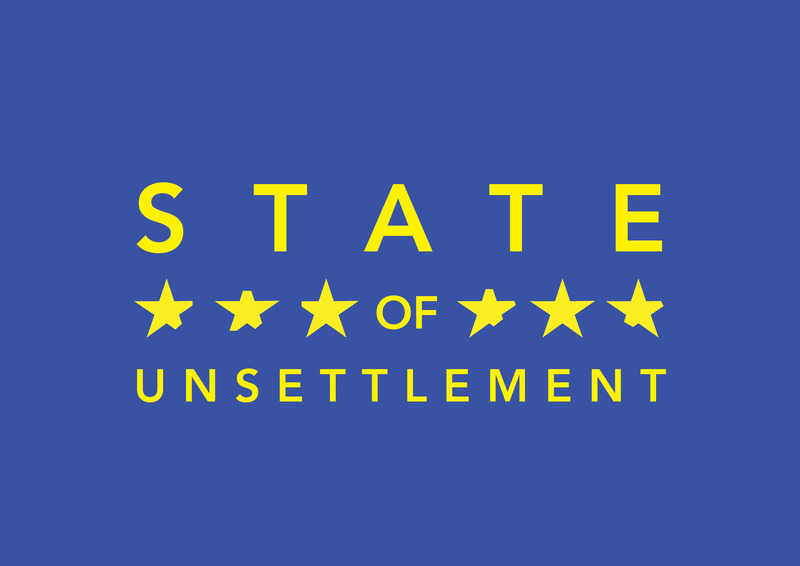 State of Unsettlement aims to shape a new contour around the impact that design can make in times of political unrest. It creates a ground to stimulate international collaboration and leads towards new forms of ecologies and interpretation of living and working in uncertain times. Remarkable has been the quietness from the design field from both United Kingdom and The Netherlands, retreating from the discussion on the role that design/maker-ship plays in times of Brexit towards transforming possible futures and enacting new pathways. There is an opportunity and a responsibility for the designer-maker culture to engage the social friction, bringing people together, rather than leaving them behind. Acknowledging design as a political and/or critical agent will give way in contributing even more in societal issues and establishing itself as a tool for activism and vision, defying the standard, the constricted and unchanging. this essential time to embrace friction and uncertainty as ground to work from. The Dutch and British creative industries are related, but vary strongly. The Netherlands has a tradition in which the designer is celebrated to freedom and originality, with expressiveness by design. In the United Kingdom on the other hand, the emphasis lays on a durable relation with craft, makership, industry and sustainability. Through time these cultures have been a critical propagation for each other to involve design and craft in our public and private lives, connecting maker-ship more visible in society. to address the impact of Brexit. It will explore forms of enacting for makers, to create individual and collaborative work that embed in an artistic and critical vision on the current political friction.